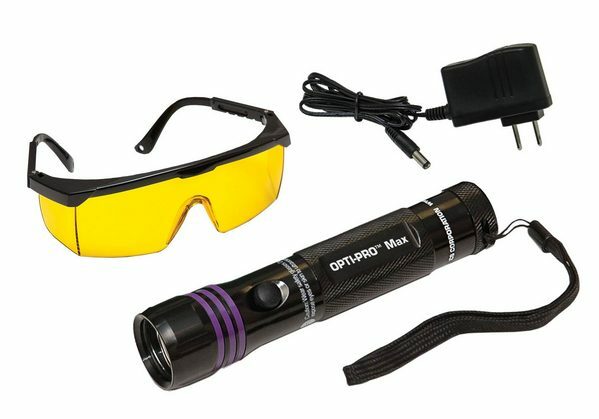 The Tracerline® OPTI-PRO(TM) Max (P/N TP-8630) is a cordless, state-of-the-art, True UV LED leak detection flashlight. 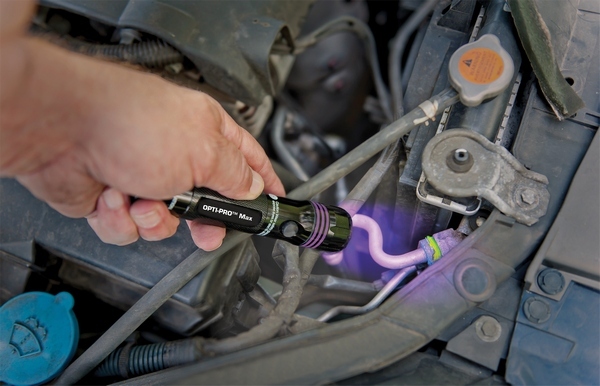 It makes heavy duty/fleet vehicle leaks easy to spot, while slashing valuable diagnostic time for technicians. The OPTI-PRO Max works with all Tracerline® universal/ester and PAG A/C dyes, as well as TP-3400, TP-3900 and TP-3940 fluid dyes. Leaks can be seen using the True UV LED light even without using the yellow glasses provided. This powerful unit is specially designed to fluoresce dyes brighter and with greater contrast than standard blue light inspection lamps.